This seminar will be focused on the main opportunities to reduce costs and increase business innovation and agility with open source solutions. This year’s agenda will feature the Red Hat/JBoss entire portfolio, identifying the major technological trends, technical demonstrations and success cases. Xpand IT – a company specialised in enterprise middleware and Red Hat – World leader in open source solutions, announced today theJBoss@Portugal2013 live seminar. This corporate event will be focused on topics such as Service Oriented Architecture, BPM, Big Data and Enterprise Applications Platform to discuss the main opportunities to reduce costs and increase innovation and business agility with open source solutions. The seminar will take place at Myriad Hotel – Parque das Nações – Lisbon, during the next 4th June between 09.00 am and 12:30 pm. Registrations are free and now available at Xpand IT website. 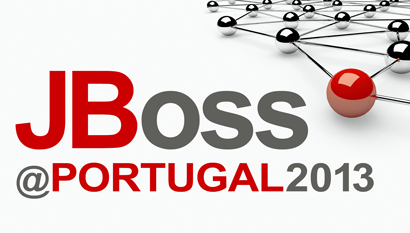 At JBoss@Portugal2013 companies can learn new ways to connect to an ecosystem of innovation and thus support their decisions given the new IT paradigms. The seminar is directed to managers in areas such as Information Systems, Strategic Planning, BPM Project Managers, Enterprise Architects, Analysts, Risk & Compliance, among others. The initiative will provide you with a vision on how the JBoss Data Grid solutions, JBoss BRMS, SOA Platform and jBPM can create value as a tool to deploy a business strategy. Given the current economic crisis, some experts consider that it does not make sense to support the expensive cost of proprietary software licenses when there are other solutions with a good maturity level. As the search for alternative open source software is increasing, this kind of decision can have associated risks. This initiative aims to present some tools and methodologies necessary for a conscious and effective change management within organisations.